This is where you employees will work to assemble your finished goods. In this example, a day shift working from 8am to 5pm was created. Enter work center person responsible: 1 _ _. Enter a name for the person responsible. Enter a location 00 _ _. Enter a name for the work center location. 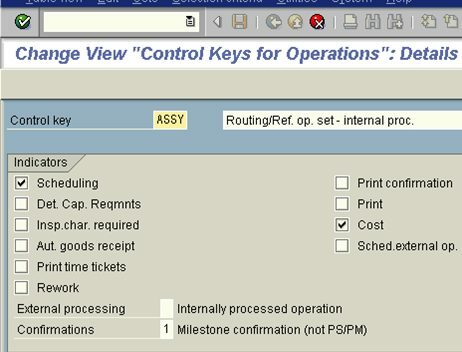 Change Control key to ASSY. This only needs to be completed by one company in each client. Enter your plant, SHIFT for capacity, and 002 for capacity category. Click the basic data button. Enter your responsible person, and work center location. Select Should Be Entered for Setup and labor. Select MIN as defaults units of measure for standard values – Setup and Labor.